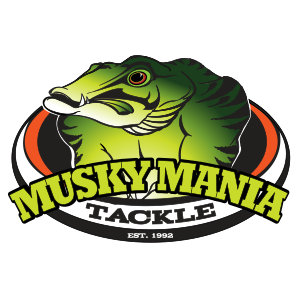 The Musky Mania Jake has a narrow, flat-sided body and a unique lip design that generates tremendous wobble and flash, even at high speeds. Large predatory fish see a forage baitfish struggling for survival as the Jake attempts to swim upright. The “high-impact” lip is designed to hammer the structure, trees or rocks, driving the large trophy-class fish (Musky & Northern Pike) to take action. It is equally effective, cast, trolled or twitched. Simply put, its a killer lure!